Course Website: Official Website - Visit Red Hawk Ridge Golf Course's official website by clicking on the link provided. 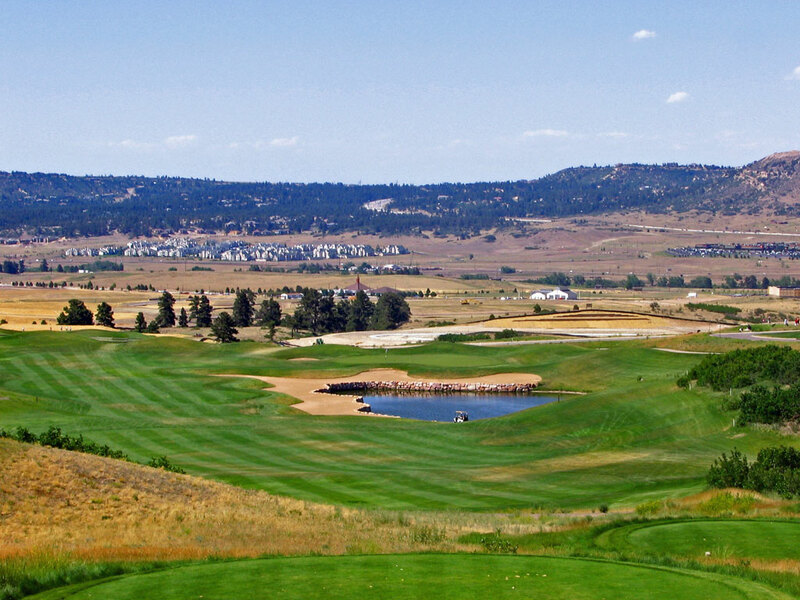 Accolades: Ranked 16th in Colorado on Golf Course Gurus' Best in State list. 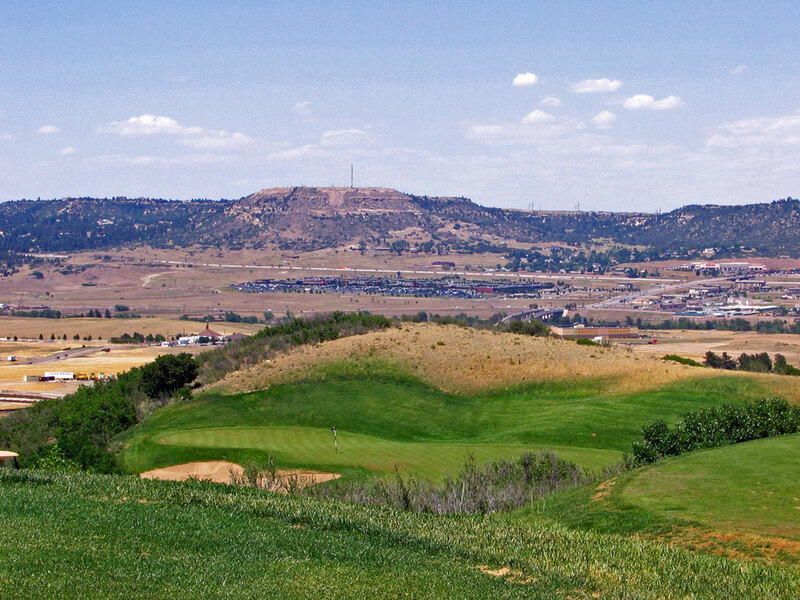 What to Expect: Red Hawk Ridge is not your ordinary run of the mill municipal course. It is a a super fun track that takes you up and down hills, across ravines, and over a variety of hazards. The rugged terrain also for some dramatic downhill shots and some challenging uphill shots with Jim Engh's design style allowing fun for all. Signature Hole: 14th Hole – 216 Yard Par 3 – The photo that graces the cover of Red Hawk Ridge's scorecard is of this attractive par three. #14 plays from an elevated tee box and boasts fantastic views in every direction. A catch bunker runs along the ravine edge and will save shots that are pulled a bit left. Best Par 3: 14th Hole – 216 Yards – The 14th hole seems to be the consensus favorite par three among Red Hawk Ridge patrons. The downhill tee shot to a cliffhanger green is an exhilarating approach shot to this tiered putting surface. Best Par 4: 10th Hole – 412 Yards – The 412 yard 10th hole delivers some nice strategic elements and hence is my favorite par four at Red Hawk. The fairway runs down and to the right with a series of bunkers protecting the inside of the turn. A ravine divides the fairway from the green, but the further you are willing to challenge the trouble on the right side of the hole the shorter the approach is into this wide green. Best Par 5: 18th Hole – 533 Yards – The design of Red Hawk Ridge's finishing hole is a par five style seen at many of Jim Engh's courses. The concept is a reachable par five with a large pond and border bunker protecting the right side of the hole and the green. If you are willing to drive it straight towards the water you will have an excellent opportunity to reach the green in two but must fly your approach shot over water and sand the entire way to get there. It's a fun design and an excellent finishing hole. Birdie Time: 1st Hole – 508 Yard Par 5 – At just 508 yards and playing way downhill, anything less than a birdie on the 1st hole at Red Hawk may come as a disappointment. A solid drive up the left side of the hole will carry the fairway bunker and bound down the hill and leave a short approach into this deep and receptive green. Bogey Beware: 7th Hole – 648 Yard Par 5 – There are three par fives that run uphill at Red Hawk Ridge, but none quite as difficult at the 648 yard 7th hole. The hole is bunkerless and the green is a simple circle, but having to climb 648 yards with no legitimate short cuts makes for one tough hole and a probably bogey.